As early as 2001, the “Pentagon” had plans to take down seven Islamic countries, Iraq, Syria, Lebanon, Libya, Somalia, Sudan and Iran. September 11, 2001 was obviously just what they had in mind. In 2000, the US Supreme Court selected another Bush as the 43rd US President and he waited until 9/11 to begin reordering the world. At that time, I was skeptical about such a large US Military operation, because we all knew The Bush Administration lied us into Iraq with phony stories of Weapons of Mass Destruction, yellowcake uranium, mobile biological weapons labs, etc. By 2011, the answer became clear. 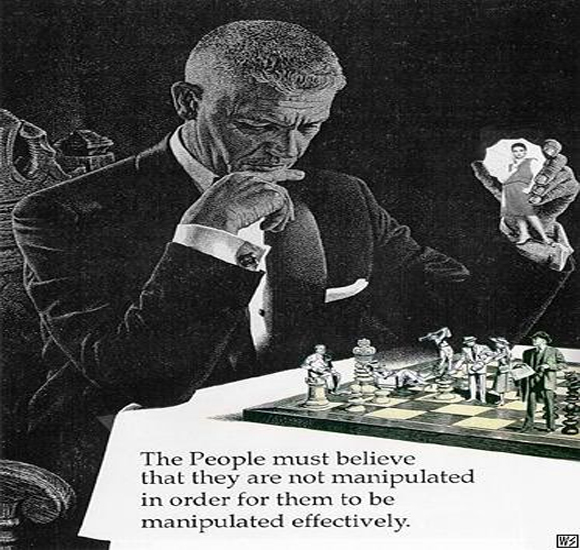 The unnecessary wars against Syria, Lebanon, Libya, Somalia and Sudan would be staged covertly as irregular military coups with the US Military and CIA supporting PHONY democracy or “Islamist”movements. Remember the baloney about ‘Arab Spring’ and the spontaneous ‘Twitter’ revolutions supporting “civil unrest” in Egypt, Tunisia and Libya? Was the USA behind these civil wars and bogus democracy movements? OF COURSE! Remember 2011 when Libyan Al-Qaeda could not budge Gaddafi’s Libyan Army, the US and NATO enforced a NO Fly Zone over Libya and launched hundreds of cruise missiles in support of Al-Qaeda and the rebels. By Oct 20, 2011 Muammar Gaddafi was a dead man and Libya was a war torn shattered nation. But no one in America feels the least bit guilty about America’s role in trashing Libya. Most people believe these events were spontaneous democratic revolutions. Doesn’t anyone remember the PNAC’s plans to reorder the Middle East? In Sept. 2012, we lost Ambassador Steven in an attack on the US Consulate in Benghazi. The press wants us to think that we brought “freedom and democracy” to Libya, not chaos and death. They want us to believe that there is no Green Resistance to the NATO or its Al-Qaeda allies in Benghazi, but everyone in Libya knows about the Green Resistance, whose members are called “Tahloob” (Arabic for “Gaddafi loyalists”). In reality, the Green Resistance destroyed the US Consulate in Benghazi September 11, 2012. They have been increasingly active since shortly after the murder of Muammar Gaddafi in October 2011. They strike any NATO target they can, and they execute key Libyans who betrayed Gaddafi and sided with NATO. The Benghazi incident was merely their latest blow against what they see as NATO’s illegal occupation of their country. Ignoring the Tahloob only happens outside of Libya, by the NATO powers and their subservient media. In Egypt, President Mohamed Morsi of the radical Muslim Brotherhood replaced moderate Hosni Mubarak, and he was subsequently deposed. While Obama and Romney trade accusations about whether The Obama Administration was guilty of leaving the grounds of the Benghazi Consulate vulnerable, THERE IS NO SERIOUS DISCUSSION REGARDING WHETHER THE US MILITARY SHOULD SUPPORT THESE PHONY REVOLUTIONS IN THE FIRST PLACE. More disturbing is the US Congress is side-stepping its US Constitutional duty to declare war, but the press ignores this failure too. The CIA shouldn’t decide whether we go to war. The US Congress should debate and decide, so Congressmen can be responsible to the American people come election time. There is a Constitutional debate in America regarding whether Obama is in violation of the War Power Act in regard to Libya, BUT THE MEDIA IGNORES THIS VIOLATION. The purpose of this reordering of the Middle East is to remove or weaken any power that is independent of the Illuminati central bankers, represented by the NATO powers and Israel. It is progressing well. Libya is in chaos. Syria is in ruins. Iraq is in turmoil. So are Somalia and Sudan. ISIS is establishing a “Caliphate” that reaches from Northern Iraq across Syria to Lebanon. The only country left standing is Iran, and given its increasingly close ties with Russia, we assume the Illuminati is saving that for a world war. The Illuminati strategy in the Middle East makes little sense unless we understand some of their esoteric beliefs. Talmud Jews expect the arrival of Messiah Ben-Yosef, a military leader who will crush Israel’s enemies and enable the world empire of Messiah Ben-David. The occultist Illuminati share a similar belief in a global leader (Christians call him the antichrist) who will rule from Jerusalem. For these extraordinary events to happen, a traumatizing war must occur first. It should be much easier to promote this total war if all Israel’s neighbors are crazy fanatics prone to violence, and not moderates such as Mubarak. Let the tension grow and nuke them all in retaliation for some false flag or real attack on Tel-Aviv with a dirty bomb or biological weapon launched from Syria or Iraq. This view would explain why Israel is unnecessarily cruel in his actions against Gaza and Lebanon, targeting civilians with no objective military advantage. The more the Arabs hate Israel, the higher the tension and the closer the total war. “In 1996, in a strategy paper crafted for Israel’s Benjamin Netanyahu, Richard Perle, Douglas Feith and David Wurmser urged him to ‘focus on removing Saddam Hussein from power’ as an ‘Israeli strategic objective.’ Perle, Feith, Wurmser were all on Bush’s foreign policy team on 9-11. . . The elimination of Saddam Hussein, Gadaffi, Mubarak (as well as the intended removal of Assad) are obviously part of long-range plan to throw the Middle East into chaos; 9-11 was the false-flag catalyst to make it happen. As to the probable purpose of this chaos, I could not summarize it better than Marcos has. Why else is the mainstream media suddenly publishing pictures of Palestinian victims, something it normally never does? They would love to enrage disorganized Muslims into fighting a war against Israel with its state-of-the art American weapons. Benjamin Fulford – The Masters of War are Dying: Not the End of the World, the End of the War for the World! But if Russia is already under the control of the banksters, why would they care if Iran were also taken over?